Fun knobs at the start soon give way to low-angle knobs. An excellent first lead for Tuolumne novices, it nevertheless has long runouts. 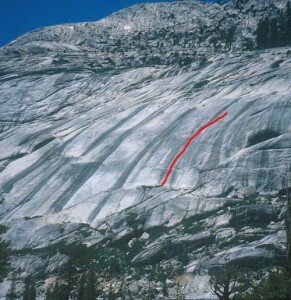 Those unfamiliar with low angle climbing and those inexperienced with slabs should toprope it first. Which SuperTopo guidebooks include a topo for Hot Crossed Buns?